When asking ‘what is addiction’, most people will find themselves answering with something along the lines of ‘an event where a person makes a habit of a particular activity’. Although this is partially true, it doesn’t encompass the entire definition. When a person starts to feel like they are obsessed with a certain activity, they will strive to practice it habitually. This could be going to the gym or drinking alcohol – but in either event, if the individual doesn’t receive their ‘fix’, then their mentality may begin to suffer. There’s only one way to break a habit and that’s by strategically addressing it. Someone who bites their fingernails might be able to deter themselves, by applying a disgusting coating of varnish. 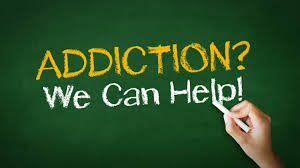 Where an addict might be a little irritated if they can’t do something that they want to do, a dependent will actually demonstrate the physical and emotional distress associated with the severity of their condition. This is why drug rehab centers for example, specialise in helping their patients to overcome their dependencies via a range of processes, as anything less can actually do more harm than good. Addiction Counselling for young people with addiction prolems shows what I believe should be the basics in building a career. One of the last places to be affected by drugs (unless heroin is being injected into veins), is the skin. This external layer can continue to look clean and healthy while the internal parts of the body suffer. Once the chemical toxins turn their attention to the skin however, the addict can start to take on a paler complexion and one that starts to suffer with patches of dry, flaky skin. Possibly the most commonly affected parts of the body are the organs. Depending on the type of drug the organs that are affected might differ, but in the majority of cases they will be the brain, the heart, the lungs, the kidneys and the liver. The latter two are responsible for siphoning toxins from the body and so with consistent use, the drugs can start to kill the cells and cause these organs to deteriorate. Even softer drugs like cannabis can take their toll on the lungs when smoked, as well as the brain (where cells can start to die). There’s a reason why drug tests will often require a collection of hairs to be pulled from a person’s head – and that’s because of the way that drug consumption affects the growth of hair follicles. Whenever a person ingests cocaine or injects heroin, their metabolism will be forced to shift unnaturally, so a small gap in pigmentation can be present within hair follicles. Over time, hair can start to weaken and fall out in clumps – and nails can discolour as they begin to suffer with clots. The music on this video is extremely irritating. the content was good and thank goodness for sub titles. i resorted to turning the sound down very low to be able to get through it. I was an addict for 25 yrs and now I’m 6 years clean I have dealt with all sorts of problems name it I’ve dealt with it and come thru it I have never stepped foot in any fellowship but do a lot of voluntary work would I b a candidate for a drug counsellor.